Brent Mayr is the only Montgomery County Criminal Defense Lawyer named to Texas Super Lawyers in Criminal Defense. 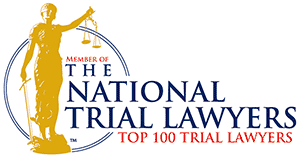 This list includes the top 5% attorneys in the entire State of Texas, selected after a comprehensive selection process based on peer reviews, independent research on verdicts and other criteria. He is also actively involved in the Montgomery County Criminal Lawyers Association, Texas Criminal Defense Lawyers Association and National Association of Criminal Defense Lawyers and lectures to other attorneys in these organizations on a variety of criminal law topics. Montgomery County Criminal Defense Attorney Brent Mayr, of Mayr Law, P.C., Board Certified in Criminal Law by the Texas Board of Legal Specialization, is committed to fighting for individuals faced with difficult situations, dedicated to protecting them and their rights. He is a former prosecutor and head of the Vehicular Crimes Section of the Harris County District Attorney, a former briefing attorney on the Texas Court of Criminal Appeals, and has over 15 years experience in the criminal justice field. Brent Mayr is a Montgomery County resident. He is actively involved with a number of organizations in The Woodlands and throughout the county. He is a member of the Montgomery County Criminal Lawyers Association. He has offices both in The Woodlands and in Houston to meet with clients. Call 855-NT-GILTY for a FREE CONSULTATION. Brent Mayr earned a rare acquittal in the 435th District Court of Montgomery County, Texas on two counts of criminally negligent homicide for a Dobbin man accused of killing two people in a car accident. Brent Mayr convinced a Montgomery County grand jury to return a “No Bill” against a Woodlands man charged with Murder for stabbing a former friend and neighbor from his apartment complex based on self-defense. Brent Mayr convinced a Montgomery County grand jury to toss out a Manslaughter charge brought against a young man from New Caney that had been involved in a motor vehicle accident resulting in another person’s death. Brent Mayr represented James Selmser, a Montgomery County deputy constable charged with Intoxication Manslaughter in the death of a Montgomery County Sheriff’s Office deputy in the 221st District Court of Montgomery County, Texas. While a jury found him guilty, the jury assessed a minimal sentence of 2 1/2 years.